The Faculty Communities of Teaching Scholars (FaCTS) initiative is funded by the Andrew W. Mellon Foundation to support faculty in planning and implementing innovative curriculum and/or pedagogical projects over the course of an academic year. We would like to take a minute to congratulate the 2016 FaCTS Fellows. The Faculty Communities of Teaching Scholars (FaCTS) initiative is funded by the Andrew W. Mellon Foundation to support faculty in planning and implementing innovative curriculum and/or pedagogical projects over the course of an academic year. Each year, we select a pedagogical theme that addresses the needs of the university. 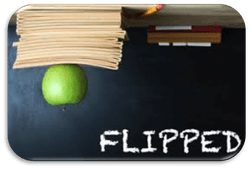 The theme for the coming year is Inverted Teaching, commonly referred to as "flipping the classroom". Each of the awardees below submitted a proposal to modify an existing course to incorporate the ideals of inverted teaching. Project title: "Inverting BSAD 2200: Balancing the Global Perspective"
Project title: "CHEM 4140: Converting Metabolism into a Flipped Course"
Project title: "Inverting the Psychological Statistics Classroom"
Project title: "Teaching History in the Archives: Inverting a Research Methods Course"
Project title: "Experiential Learning of Career and Lifestyle Development"
Project title: "Implementation of Inverted Learning Strategy in Applied Pharmacokinetics"
Project title: "Activating Black Politics using the Inverted Classroom"
Project title: "Freshening Up Freshman Seminar: Creating an Environment of Expectancy, Excitement, and Empowerment"
Project title: "Use of Inverted Teaching to Facilitate the Integration of Social Action and Advocacy within Counselor Identity among Graduate Counseling Students"
In May, the FaCTS Fellows will participate in a week of intensive training to learn about the theories behind and the best practices for inverted teaching. Lisa Schulte-Gipson, Associate Professor of Psychology, will serve as the faculty coordinator for the 2016 cohort. During the 2016/2017 academic year, the FaCTS Fellows will offer their redesigned courses at Xavier.